Flying around a 250 meter oval with 42 degree banked turns on a fixed gear bike with no brakes might seem terrifying to some but it may also be exactly what you need to take your riding to the next level. Here are 7 reasons to give track cycling a go this winter. Improve bike handling skills: There is nothing like riding at high speeds in close proximity with other riders with no brakes on a fixed gear bike to teach you how to handle your bike. Track cycling will increase your awareness of speed, distance, and space and teach you how to control your bike without relying on brakes and gears so that you will be able to avoid that pile up in your next road race. Smooth out your pedal stroke: The fixed gear bike’s used in track cycling will require you to pedal smoothly in order to crank out every extra watt of power. If you have dead spots in your pedal stroke, you wont be able to put out your max wattage. You’ll quickly learn how to pedal in circles, a skill that will be useful on the road. Massive fitness gains: Track cycling will give you an opportunity to go really deep in a safe and controlled environment. The short but intense efforts required for track cycling make for great workouts and will result in big fitness gains. More speed: Riding at high speeds in the safe and controlled confines of the velodrome is a perfect opportunity to improve you ability to ride at high speeds. 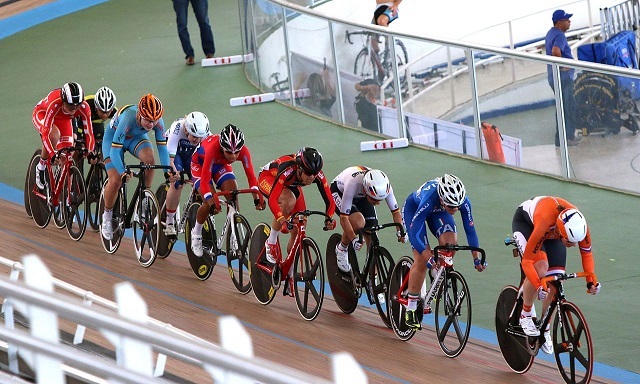 Improve your sprint: With numerous sprint based events, track cycling is a great way to develop that race winning sprint we all want. Mark Cavendish, winner of 25 Tour de France stages, got his start on the track. Higher cadence: With no gears to relying on, the only way to go faster on a track bike is to pedal faster. After a couple sessions of track cycling you should be comfortable at riding at cadences between 110 and 130. Spinning at a high cadence is a great skill to transfer to the road as it will improve your pedaling efficiency and allow you to save your legs for later in the race. Look at Chris Froome as an example of riding at high cadences. Fun: Trying something new can also be really good fun. Trying track cycling is also a good way to get out with your cycling buddies who you may not see much of in the winter. Its also a great break from the monotony of the trainer or the cold of winter. 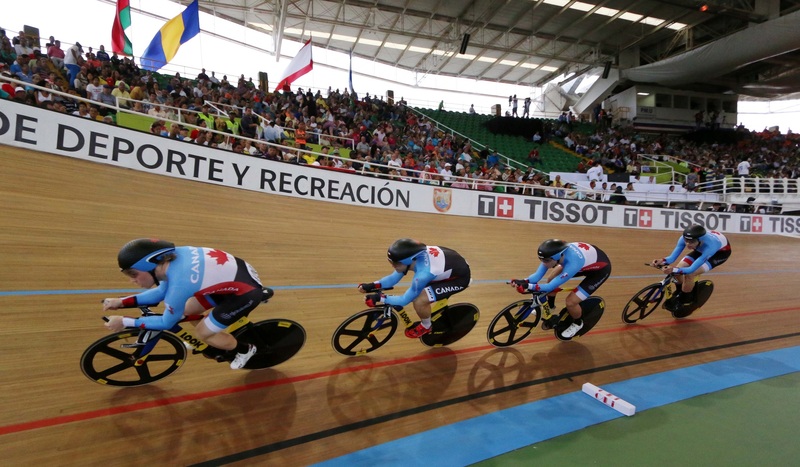 With the success of the 2015 Toronto Pan Am Games, the opening on the velodrome in Milton, and the upcoming Olympics in Rio in 2016, track cycling is set to continue growing in popularity. There is no time like the present to maybe step outside your comfort zone or just try something new and get on the track this winter. Your summer cycling performance will thank you.